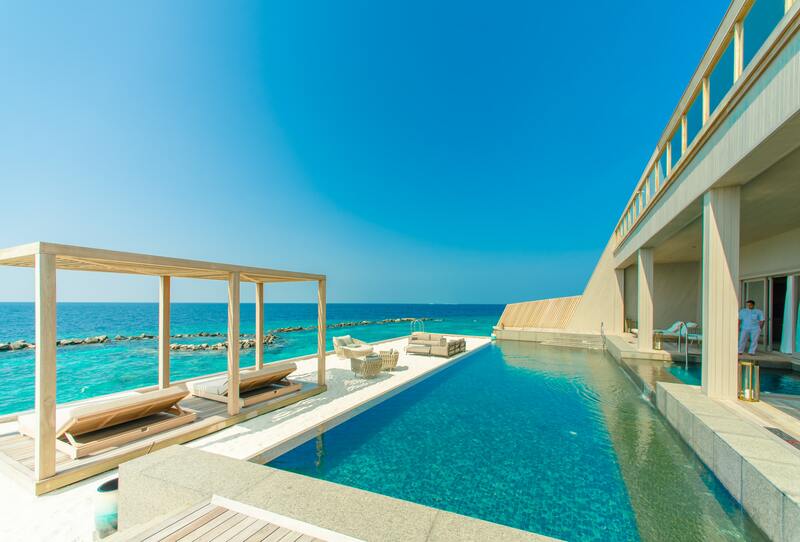 A new 5 stars hotel appeared in Limassol, which has all the necessary infrastructure for a luxurious holiday. Parklane Luxury Collection Resort & Spa is a unique place for recreation. It will satisfy even the most sophisticated tourists. The opening ceremony was attended by the main investor of the project, Roman Nikitin and his family. The event was attended by all the staff of the hotel – the best experts in their fields, who have passed a hard and multi-stage selection. Presentation of the members of the hotel management. After the traditional cutting of the red ribbon, all the guests were invited to the buffet. The new hotel complex of 100.000 m2 is located on the southern coast of Cyprus in a picturesque park area. Parklane Luxury Collection Resort & Spa is part of the international network of the Marriott International Luxury Collection and positions itself as a resort hotel. The hotel guarantees an impeccable level of customer service, excellent service and a variety of services. The leaders of the resort are confident that it will be the best place to stay in Limassol and will be attractive to various categories of tourists: young people, couples with children, newlyweds, elderly couples and businessmen. The hotel has 274 rooms with a high level of comfort. In the warm season, there are three large open-air swimming pools with a view of the sea and a long sandy beach. During the cold season, hotel guests can relax in the indoor pool. The hotel provides spa and beauty services. The complex has a gym equipped with ultra-modern exercise equipment. Tennis lovers have three courts at their disposal. A variety of food offer restaurants and bars. For children, there has been built a game complex with a pirate ship, a huge castle and water slides. The hotel provides a wide range of services for young guests. According to the owners of the hotel, Parklane Luxury Collection Resort & Spa will be the epitome of true luxury and aristocratic taste in the heart of Limassol.